A lot of people still seem to be interested in this subject, so I’m leaving this post up. It was originally a daily review of each Beacon show, primarily using photos and set lists. Thus it is in reverse order, last show first. After watching it all and reflecting on the Allman Brothers 40th, I wrote an article that was published on All About Jazz. You can read it here. Well, my guess about Phil Lesh was correct and I’m so happy that Chuck Leavell did indeed make it back from the timber conference in Idaho to close out the Beacon run – what a terrific surprise! Chuck totally smoked the place, he was awesome. The best $125 I've ever spent! Thanks to everyone @ Moogis! On the final night the Moogis folks took us backstage for a tour. Here’s the setlist – thanks to the great work done by the good ole boys at Swampland. Normal end of Statesburo Blues Encore, Derek doesn't want it to end - 1 more! Ain’t Wastin’ Time No More – Derek’s slide was wailin’ – he had a great night. MISSOULA, Mont. (AP) – A Missoula company plans an Idaho conference on use of logs so skinny they’re ordinarily rejected for construction projects. Scheduled speakers at the Small Log Conference scheduled for March 25-27 in Coeur d’Alene, Idaho, include Rolling Stones keyboardist Chuck Leavell, who raises trees in Georgia. Conference planners say they expect timber industry representatives, economic development specialists, equipment dealers and environmental activists. So it doesn’t look likely we’ll see Chuck at the Beacon tonight. UPDATE Chuck made it!!!! Soulshine (w/ Kid Rock and Paul T. Riddle) Kid Rock rocked. Who’s Been Talking? (w/ Ivan Neville) Very nicely done! Les Brers in A Minor (w/ Paul T. Riddle) Warren was full on. Southbound (w/ Jimmy Hall, Paul T. Riddle, Berry Oakley, Jr.) Nice ending to a great night. Some advice: 1. Don't play in traffic. 2. Don't tug on Superman's cape. 3. 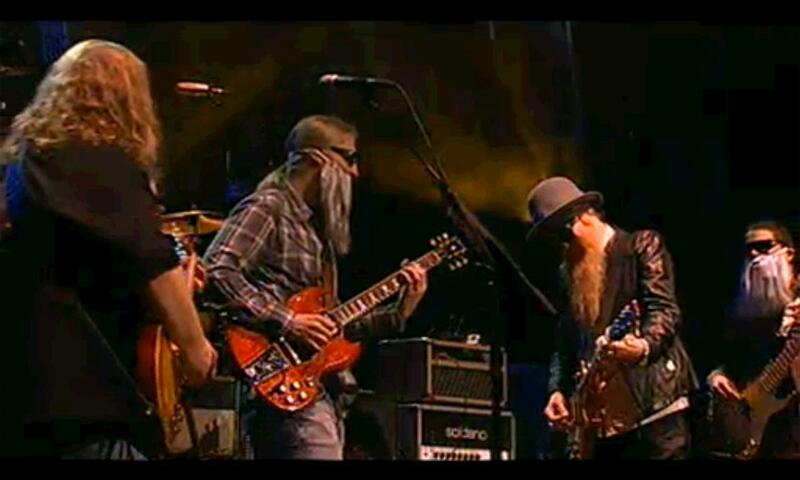 Don't play slide if Derek Trucks is on stage. 4. Don't be singin' the blues if Jimmy Hall is on stage. Where's Pam when you need her? Butch has really been playin' his heart out - doing a great job! Today Moogis hasn’t had a 1000K stream of this concert concert posted – only 564K stream. The stream hasn’t been smooth and in sync – so far this is the only problem I’ve had with Moogis – still the best $125 I’ve ever spent! 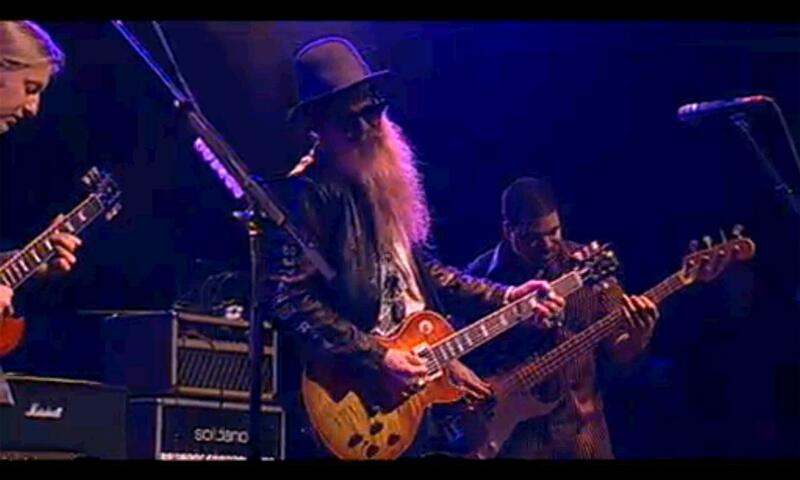 Billy Gibbons - GREAT SHOW!!! Goin’ Down Slow (w/ Bob Margolin and Thom Doucette) Bob Margolin played for years with Muddy Waters. Derek spoke about him in our interview done last month. 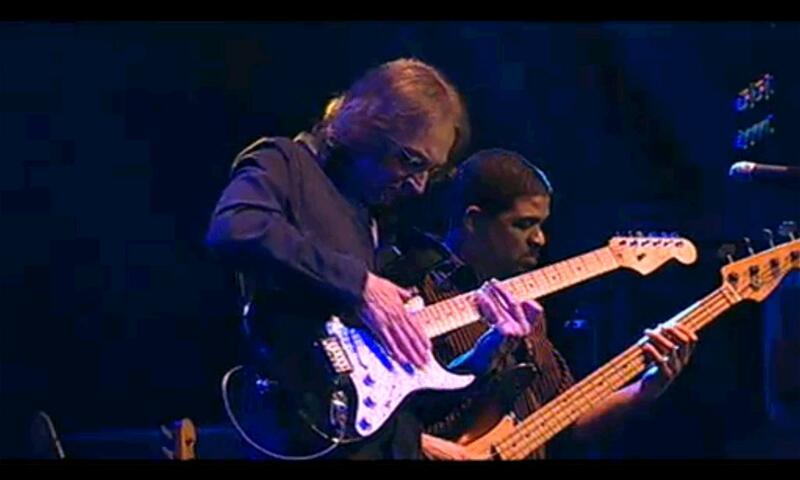 Midnight Rider (w/ Sonny Landreth) I got to see Sonny and Derek touring in the Netherlands a few years back – WOW! about says it all. 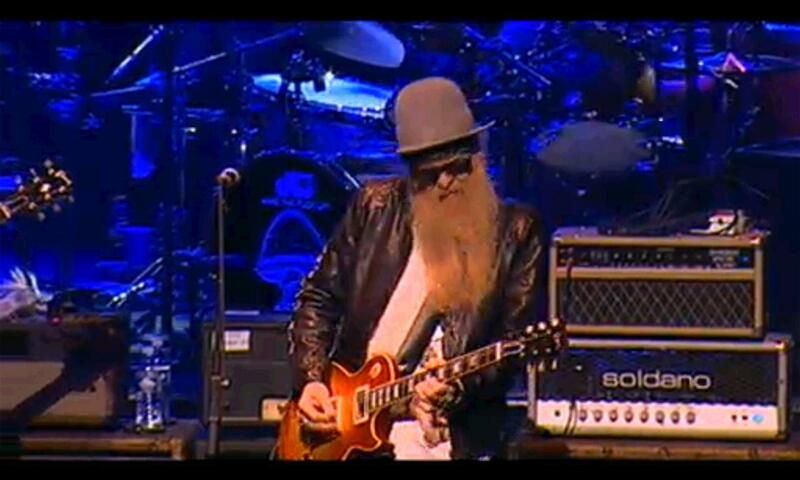 Jesus Just Left Chicago (w/ Billy Gibbons) No doubt about it, I don’t think Derek has ever had more fun on stage. He, Warren and Oteil were lovin’ it! 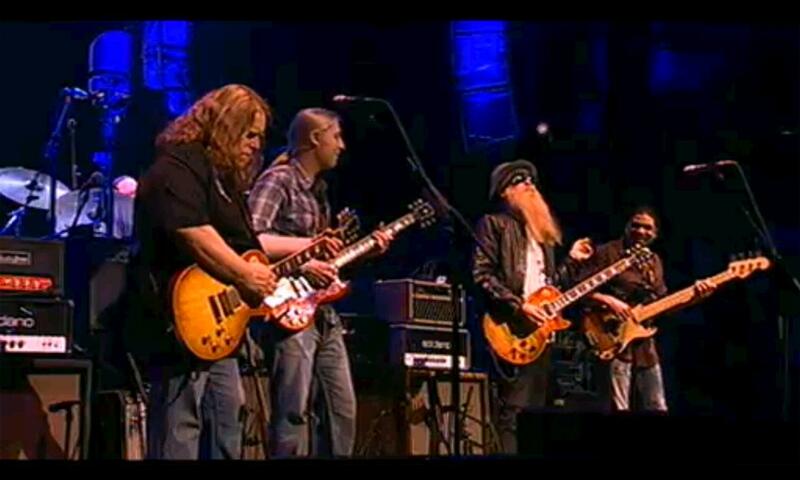 Statesboro Blues (w/ Billy Gibbons) Warren went over to Gregg at the ending of the song and asked for one more – nobody wanted this to end! Jimmy Herring rips it up! New Instrumental ? “Kind of Carlos” – To each his own, but for me the transition to the power solos takes away from an otherwise beautiful vibe. I would prefer delicate mood solos based on Mile’s “less is more” principle. Soul Serenade ( w/ The Kingpins, Jemmott, Bernard “Pretty” Purdie, Jimmy Smith, Mike Mattison, Susan Tedeschi) This is a tribute to King Curtis / Duane Allman – very soulful. Mempis Soul Stew > Them Changes ( w/ The Kingpins, Jemmott, Bernard “Pretty” Purdie, Jimmy Smith, Mike Mattison, Susan Tedeschi) Some ABB fans might have been disappointed, but music lovers got a real treat – they were smokin’! 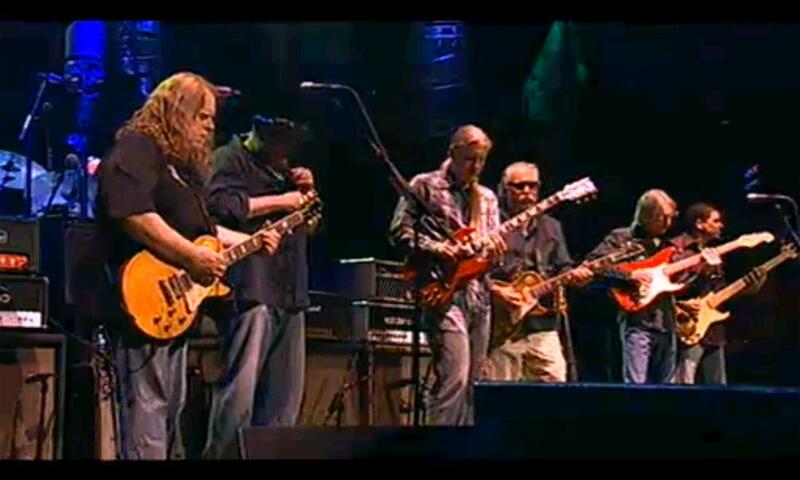 Les Brers in A minor (w/ Jimmy Herring) AWESOME – Jimmy was humbly giving 4 finger lessons. WOW! 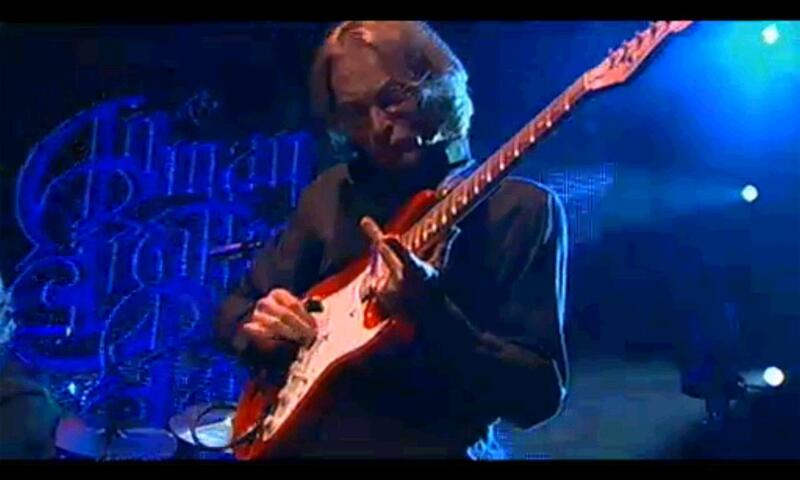 Eric Clapton - O.M.G. !!!!! No doubt about it, this was a concert people will talk about for decades. It took 40 years, but it was worth the wait – they were literally “Peakin’ at the Beacon.” It just doesn’t get better than this, everyone was pumped, the atmosphere was electric, and Eric Clapton was on fire – on Dreams, Stormy Monday, Elizabeth Reed, Why Does Love Got to be so Sad – simply unforgettable. 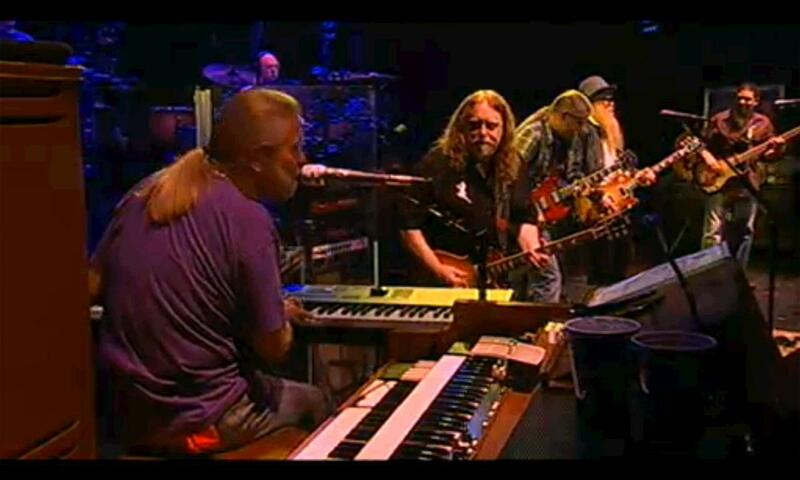 This concert alone was worth the cost of the Moogis subscription, if you love the Allman Brothers music, don’t miss this, it’s fantastic! Clapton’s first night was great, but his return last night took things to a much higher level, he was feelin’ it. Check out these photos. Even the little mix ups were great fun! Eric bending strings to hit the note, Derek feelin' it and pulling too! Mr. Clapton was impressive, thoroughly himself, on every song. 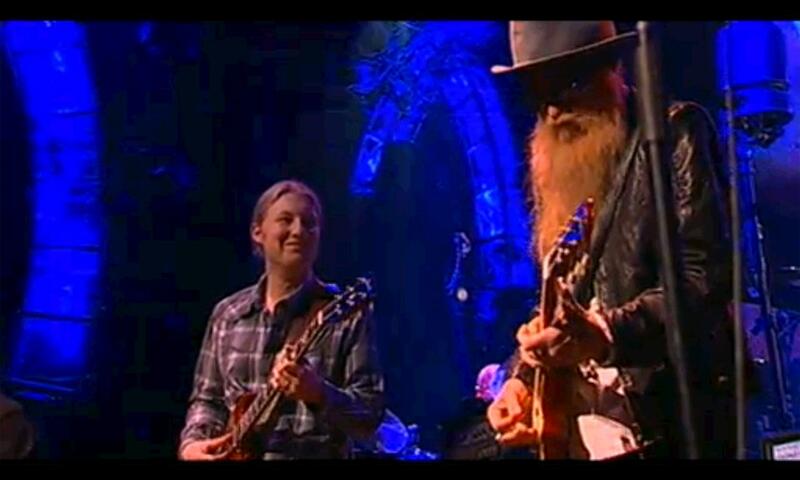 But the best thing about the appearance was his camaraderie with Derek Trucks. During an extended interlude in “Why Does Love Got to Be So Sad,” they improvised a duologue with no extraneous sparks, pushing each other but also yielding, on an equal plane. Their rapport — forged when Mr. Clapton brought Mr. Trucks on tour a few years ago — was just as deep on “Little Wing,” which occasioned a fiery solo by Mr. Haynes, and “Anyday,” which featured Susan Tedeschi, Mr. Trucks’s wife, on background vocals. Butch and Oteil were also on fire last night!!!! It only took 40 years! A lot of us hoped it might happen, and it did! 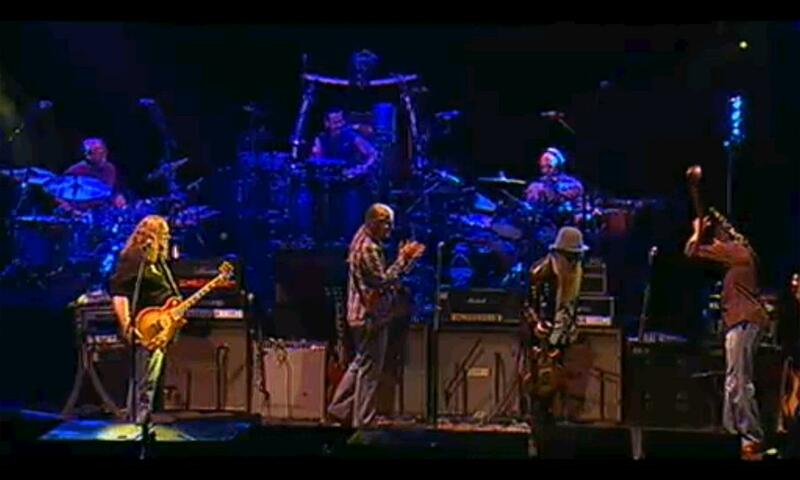 Eric Clapton on stage with the Allman Brothers Band. Thanks to Wharfie from Tooboard for the setlist! Anyone else hoping for Carlos Santana? What a great night. Everyone in the band was obviously fired up, especially Gregg and Derek. John Hammond was such a class act, humble yet commanding. His voice and playing were still excellent. Shake for Me didn’t quite have the driving energy from the slide that the original did, but on the other hand, Howlin’ Wolf fans were surely pleased to hear that Derek and Warren incorporated the backing from “Rockin’ Daddy” into it. All of John Hammond’s songs were a lot of fun. 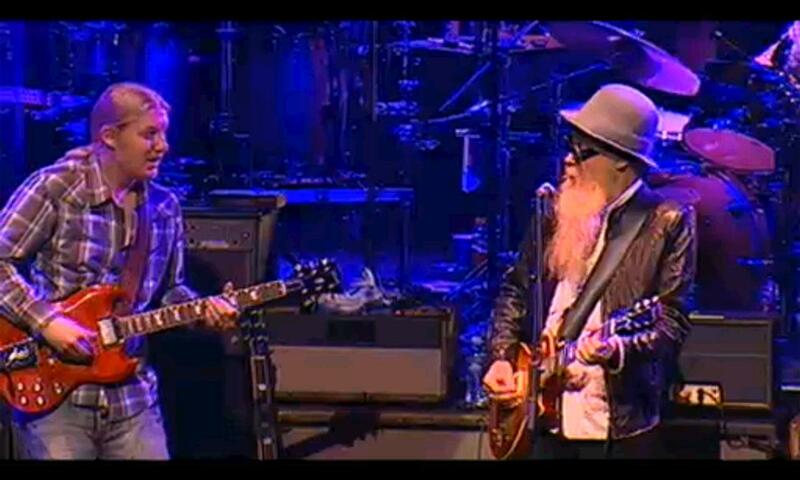 It was a very moving moment when Gregg alone on E. piano sang with Bonnie Bramlett. He seemed to be whisked back in time by Bonnie and Bekka and the evening became a magical down-home reunion, especially when Susan and Bekka were doing the Weight. The band had its groove on tonight! Gregg’s vocals were strong again and everybody was fired up. Robert Randolph, Randy Brecker, Lenny White, and Stanley Clarke were a wonderful surprise. Randy Brecker on Dreams and Liz Reed WOW! 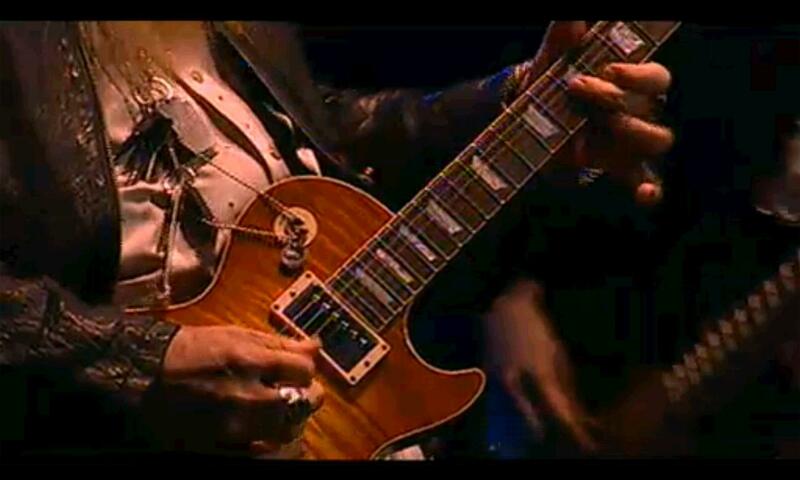 Opened with a tribute to Duane. Gregg started off strong and had a nice variation on Done Somebody Wrong, perhaps it’s just me, but he seemed to begin dipping once they got to One Way Out. The Duke Horns were a great addition, fans of Conan O’Brien will recognize La Bamba and Mark Pender from the Max Weinberg Seven. Derek seemed to really enjoy the horns. The Juke Horns made “Loan Me a Dime” magical! Black Hearted Woman – Powerful! Can’t Lose What You Never Had – Stong vocal, trouble with lyrics. Nice playing from Oteil. The Sky Is Crying (w/ Buddy Guy G & 2nd. Vocal) Some nice back and forth between Warren and Buddy. 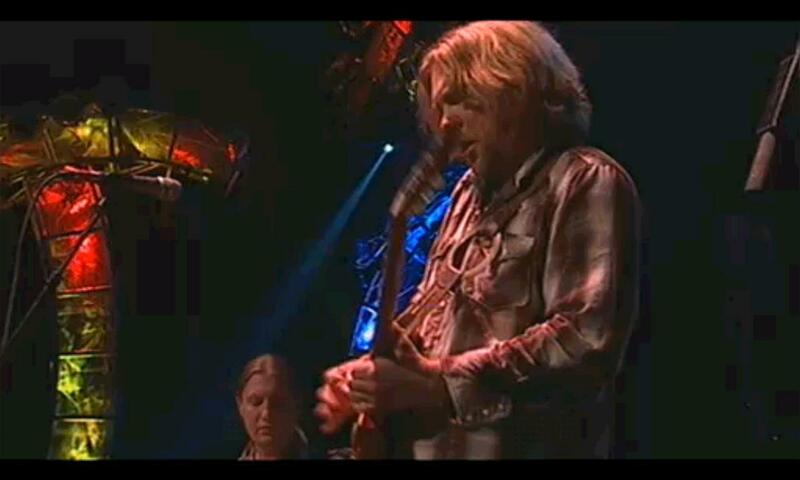 Derek’s solo had a hint of his Queen of Spades solo from the Clapton tour. Southbound (w/ Buddy Guy, Trey Anastasio & Page McConnell) Buddy was at his best on this one. 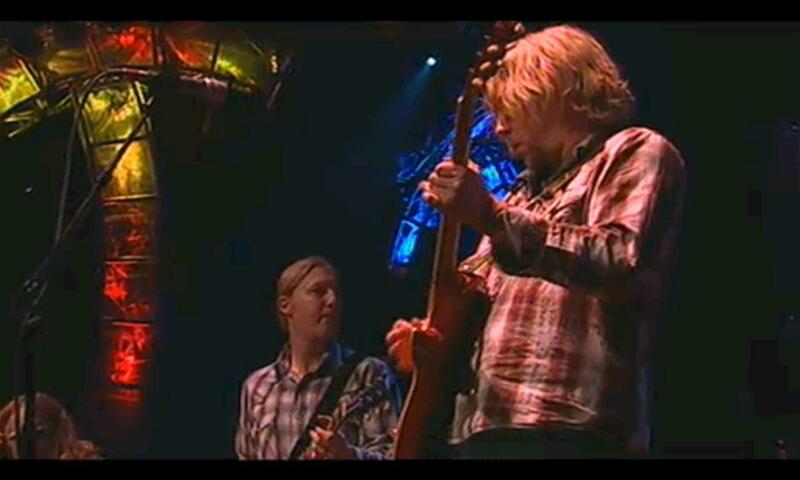 In Memory Of Elizabeth Reed (w/ Trey & Page) Trey was feelin’ it. 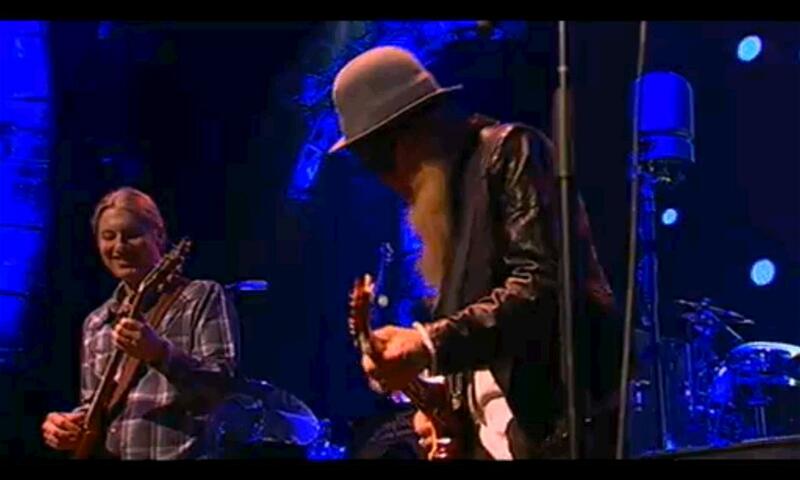 Statesboro Blues – Warren & Derek both on slide (Blues is Alright) chant. 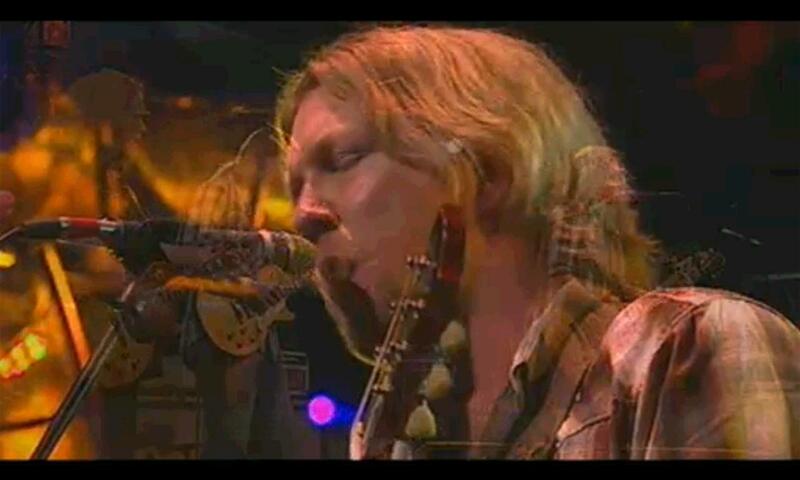 First things first, respect to Gregg Allman. His vocals tonight were strong again, seriously, he sounded great, even on Melissa. After missing last year’s run due to illness and given that this is a 40th anniversary dedicated to Duane, Gregg really seems to have prepared himself. A very pleasant surprise. Derek’s magic shirt was on display – actually this may be a super-guitar-hero costume, because he was absolutely on top of his game last night. GREAT He came to play, what a performance. 1. Ain’t Wastin’ Time – Strong vocal by Gregg! 3. Hot ‘Lanta – Derek first solo after Gregg, smoked it. 7. 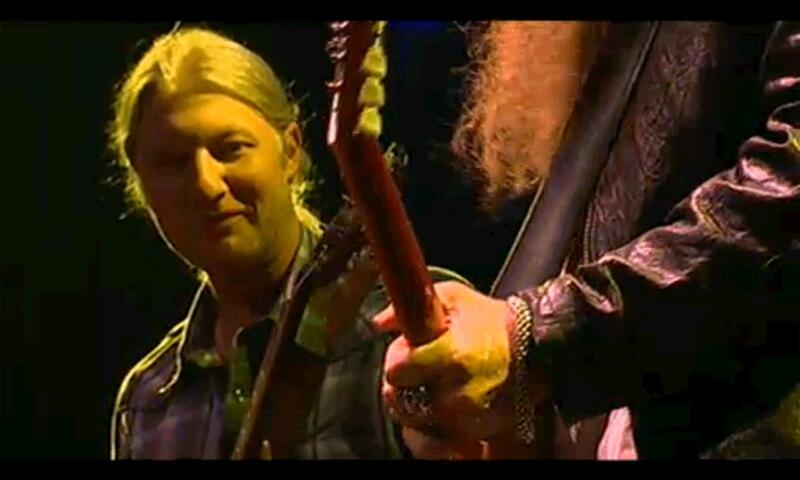 Red House w/Johnny Winter, guitar & vocals – Johnny gets a B just for showing up as frail as he is. 8. 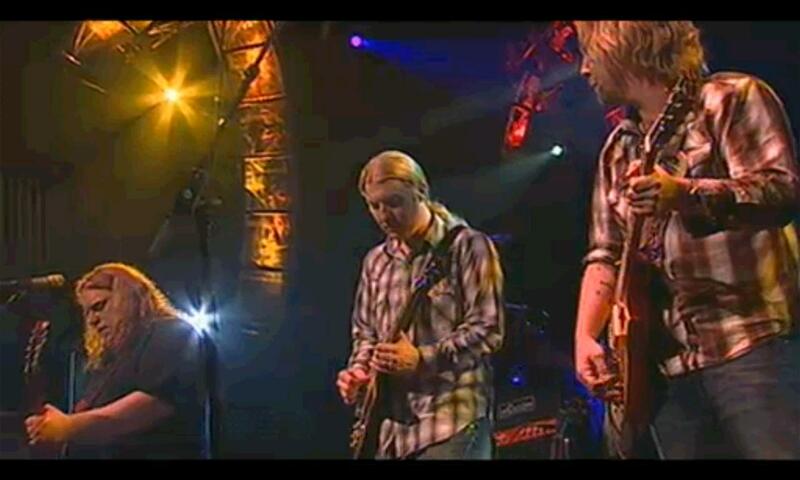 You Don’t Love Me w/Johnny Winter, guitar – Derek tapped Johnny on the shoulder to take a solo. 9. 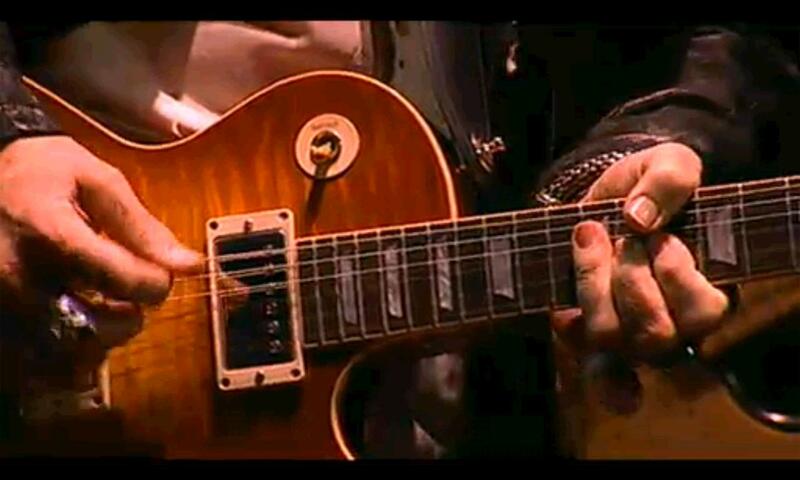 Highway 61 w/Johnny Winter, guitar & vocals – Highway 61 turned out to be the highway to hell & everyone had a different key! Lots of amp noise during the guest appearances – what the hell happened?!? 10. Les Brers In A Minor – Hate to repeat myself, but Derek killed on his solo. 13. Don’t Keep Me Wonderin’ w/David Hidalgo, guitar & vocals & Cesar Rosas, guitar – Liked David’s vocal & playing. Again Derek took control at the end and was just on fire. 15. Wasted Words – Hot solo by Derek. 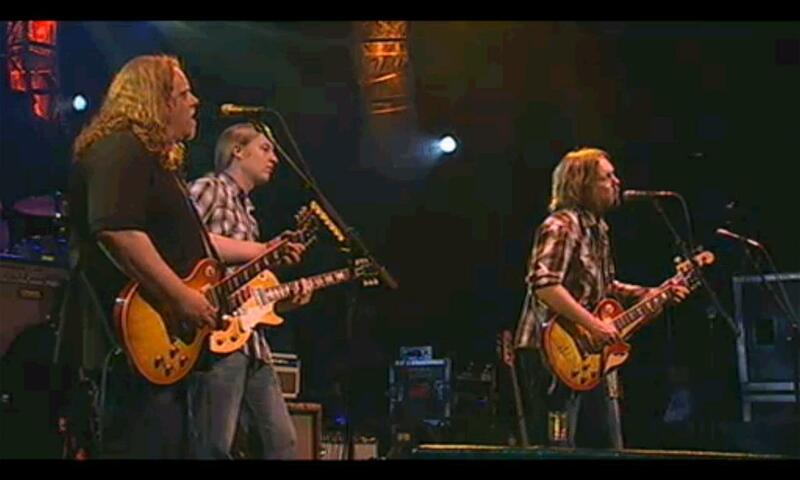 Screen captures from the Allman Brothers first night of their 2009 Beacon Run. 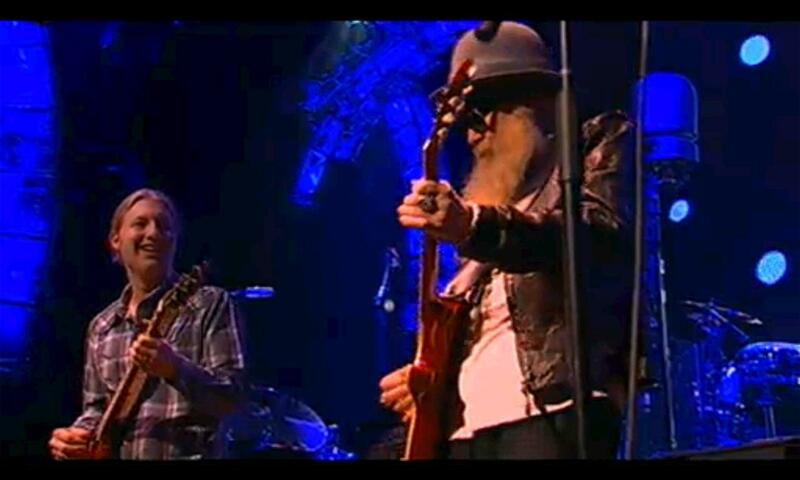 Gregg Allman – had a great opening night. 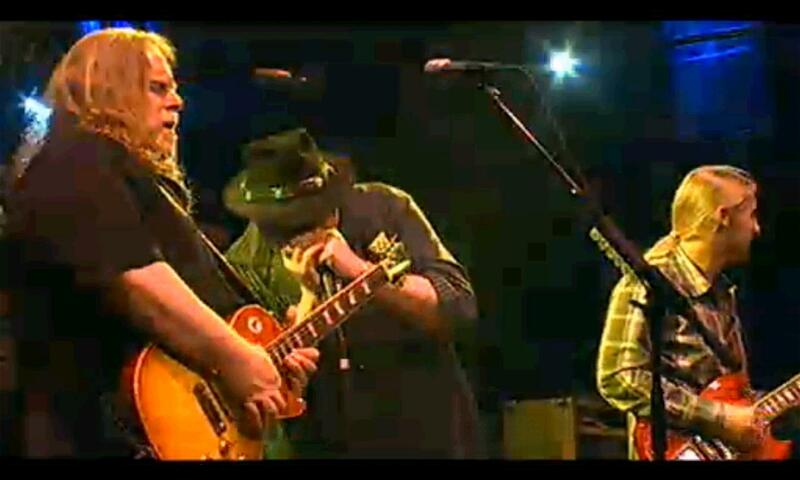 Warren Haynes – Always on his game. Special Guest Taj Mahal !!! 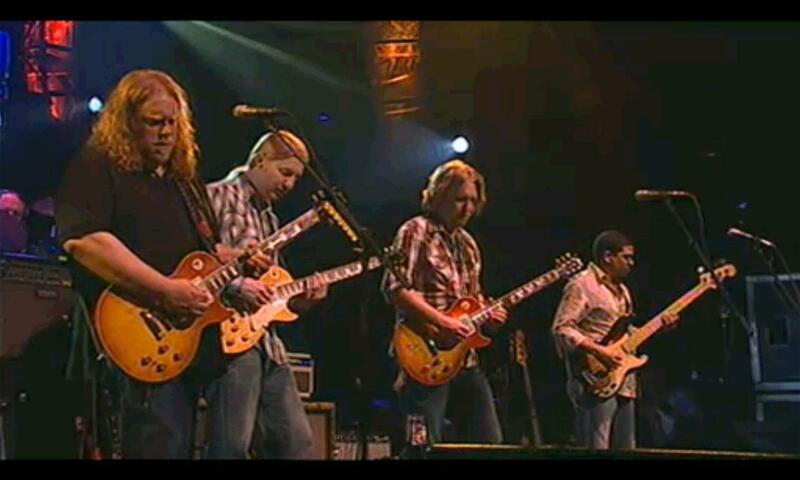 Derek Trucks – Steppin’ it up on the opening night. 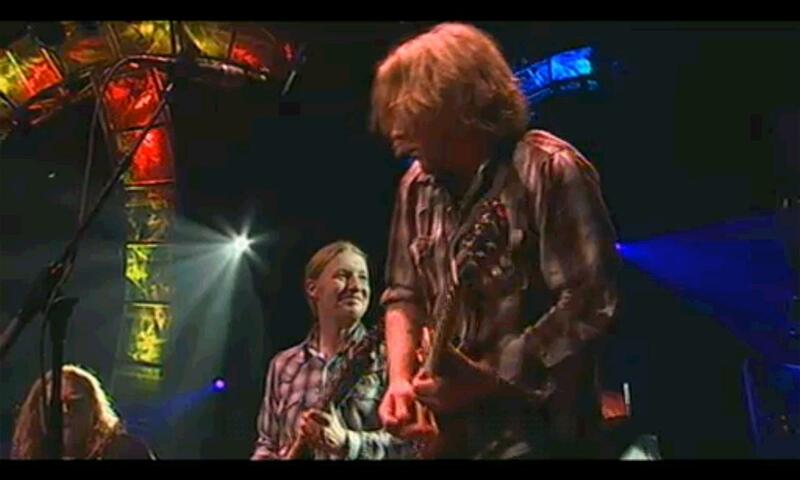 Opened with Derek and Warren playing “Little Martha” (on E. guitars) with photos of Duane on the big screen behind them. 4. ? New Instrumental – I haven’t heard it before. Has a bit of a Miles Davis “cool jazz” vibe and a bit of Les Brers too. The softer portions were quite beautiful. Warren took it back to a “Same Thing” feel with his solo – impressive as always, but didn’t seem to fit (of course if you ask 100 fans you’ll get 100 opinions.) But very nice. 6. Leave My Blues at Home – hot as ever. 7. Leavin’ Trunk. Special Guest Taj Mahal. He sang & played harp. Taj was a real highlight, his unaffected honest vocals were spot on and fun. 8. 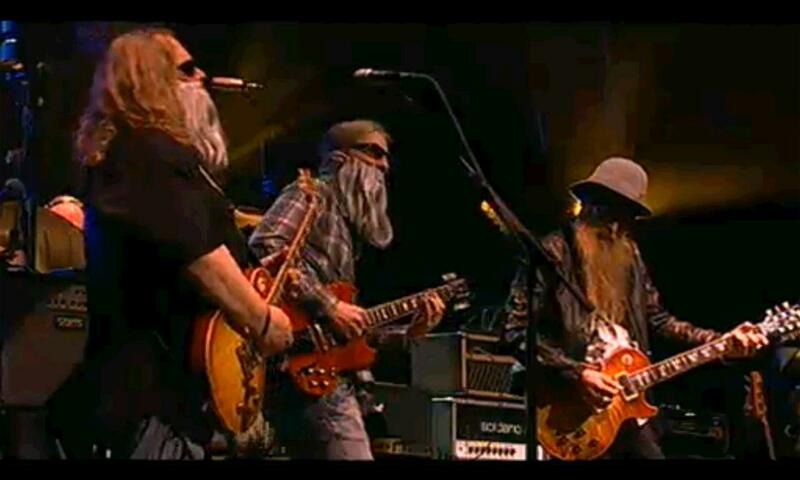 44 Blues – again Taj smoked the vocal. 9. Statesboro Blues – Taj did an unorthodox vocal that really changed things up. 10. Ophelia. Specail Guest Levon Helm. 12. The Weight. Levon Helm. Gregg also sang and Taj came out and nailed it yet again. Nice solo from Derek. 13. Black Hearted Woman. Nice touch from Warren with a tip of the hat to Hendrix with Purple Haze. 14. Stormy Monday. I thought this was a highlight, Gregg’s vocal and solo were spot on, Derek slide solo was excellent and Warren was on fire too. 15. Mt. Jam. Rather interesting, Derek had some great moments that took one back to the origianl Eat A Peach version at times. He and Warren did seem to play over each other a bit more than I’ve ever noticed before (on several songs) but especially on Mountain Jam. Big plus, no marathon drum solo. 16. Encore. Southbound. After Stormy Monday my next favorite of the night. The video quality on Moogis was excellent. If you can afford the $125, do yourself a favor and don’t miss this! great review, thanks for the photos. I’m headed to the March 27th show…stoked for ABB! All I can say is HOT DAMN! Skydog has got to be grinning ear to ear watchin this stuff from above! Thanks Butch for Moogis, the musical event of my life! I would never get to see the Beacon run any other way! Love the pix of Bruce the other night — can you be in touch with Bruce’s office? gostaria de saber se este encontro de ALLMAN BROTHERS,ERICK CLAPTON e WARREN HANEIS, foi gravado e esta a venda o CD ou DVD.OBRIGADO.